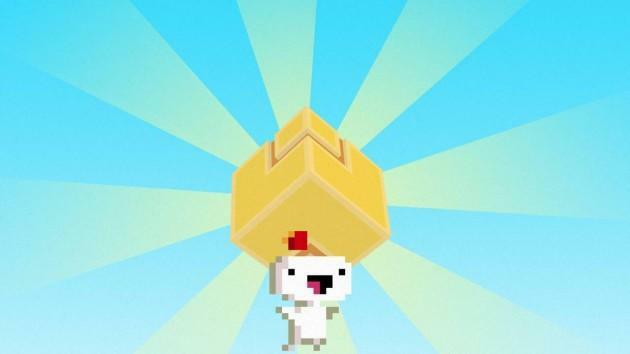 It's hard to believe a year has already passed since FEZ first launched on April 13, 2012. After a development phase that took over five years to complete, the game finally released to warm reception from critics across the board. Polytron's indie-darling has sold 200,000 copies over its first year on Xbox Live Arcade, and while not ridiculously, incredibly impressive numbers on today's indie market, it can still be considered a success as it makes its way to other platforms next month. Developer Phil Fish has announced the sales figures on Polyton's official blog, where he graciously thanks everyone who supported him and his dream over the years, despite some of the controversies his blunt personality might have created. Fish claims FEZ receives "far more love mail than hate mail," and he genuinely seems like a much happier person with that huge monkey off of his back. If you haven't yet, I highly recommend watching the documentary Indie Game: The Movie which chronicles a part Fish's journey to finish FEZ and captures the personal hell he put himself through. It's available on Steam and Amazon, DRM Free, and worth every penny. And of course, it would also be a decent choice to finally check out FEZ if it's alluded you for all this time. Fans of old-school platforming and puzzle solving will easily get the most out of it, but anyone sick of blazing guns and big budget high fantasies can use this to find a little peace of mind. XBLA is currently the only place to find the game, but it will be available on Steam on May 1st. Congratulations to Polytron on all their success. Hope 2013 goes just as well for you.